The key behind our innovation strategy, one of our 7 strategies for running a more profitable business in a complex world, is to “jump” the firm to a new position through the creation of novel product solutions. Product innovations can have a dramatic effect on the market in a relatively short time period, although producing innovations usually requires a long period of research and development activity, change to production systems, productising scientific breakthroughs, acquiring patents etc. For the innovation strategy to be successful, the firm would typically need to be able to charge premium prices, to recoup the additional R&D costs. This would work where there is a segment of demand that is willing to pay to get the unique benefits conferred by the innovation. Innovation can be guided where we have clear insights into underlying customer needs that may not be met by the existing products on the market. Thus, the innovation strategy shifts the firm to servicing customers who are prepared to pay premium prices to acquire new and superior products. Let’s consider an example of an innovation strategy by NetJets. NetJets is a world leader in private aviation. It offers part ownership and rental of private business jets through selling “fractional ownership” in aircraft which gives the owner a share in the use of the aircraft. NetJets history goes back to 1964 (then called Executive Jet Aviation) when it became the first business jet charter and aircraft management company in the world. However, the real innovation came about much later. In 1984, an entrepreneur, Richard Santulli, purchased Executive Jet Aviation and introduced a “time share” concept of fractional ownership previously applied to resort properties. NetJets sells a fraction of a specific aircraft, chosen from several available types at the time of purchase. The fractional owners are then entitled to access that aircraft – ranging from 50 hours to 400 hours, depending on the level of ownership – with as little as four hours’ notice. NetJets innovative product is delivered at a higher cost than alternative executive travel options because of the nature of the product and service – that is, tailored jet usage – which involves high-cost inputs, such as leasing expensive private jets. But there is a segment of air travel customers that are prepared to pay a premium for this exclusive service. Over time, we can see how Richard Santulli’s ultimate innovation was moving from this basic idea of a “time share” for executive jets to a fully functioning and profitable business. This involved intense interaction and knowledge sharing across a diverse range of experts, including pilots, IT specialists, ground handlers, aircraft suppliers and providers of finance. It is one thing to come up with an innovative idea, but turning that idea into a profitable business often represents the more significant challenge. 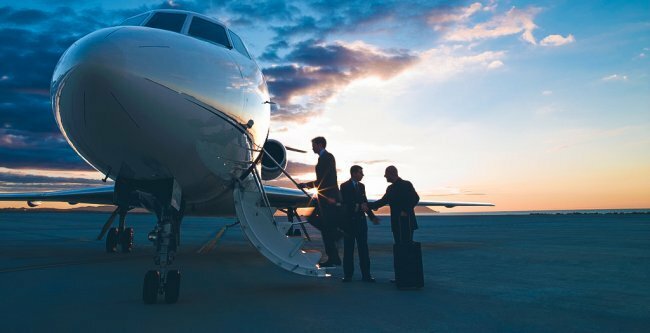 NetJets, to its credit, has overcome the many problems and challenges that emerged along the way, and succeeded in executing its innovation strategy. At the heart of achieving product innovation is the creation of new knowledge. New knowledge and its application drives product breakthroughs. It is therefore no surprise that the practices most commonly associated with innovation are related to knowledge creation and knowledge management.